100In1Day is an annual celebration of active citizenship, where we collectively celebrate what makes our communities great, and implement ideas about how we can work together towards a better city and a better world. 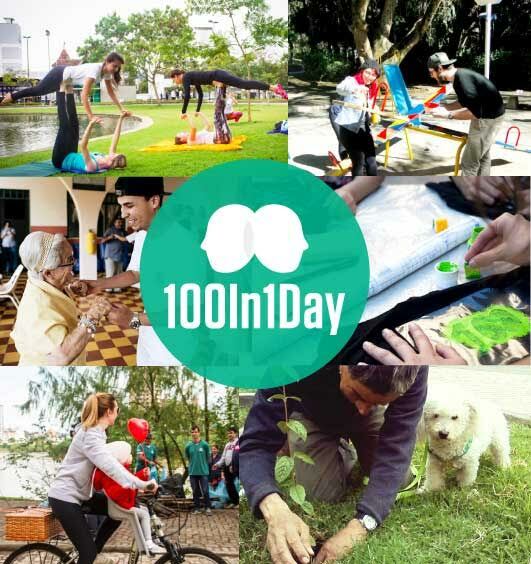 100In1Day began in 2012 as a movement from Bogotá, Colombia where inspired citizens sought to instigate change in their communities through grassroots activism to improve their city and form connections between people. Since the movement’s founding, residents of cities around the world have embraced 100In1Day as an annual opportunity to recognize the power we have to dream of a better world through citizen-led actions. The actions of inspired citizens form the backbone of 100In1Day as a social-transformative model seeking to redefine cities by bringing people together in public spaces. These actions range from celebrations of the small things in communities that provide vitality, to actions coming from a more critical perspective that identify opportunities for change. Actions can assume diverse forms approaching topics from different perspectives relating to environment, culture, and society, but derive their inspiration from a common desire to create a positive impact at a local scale. Actions typically begin through an individual’s reflection on the relationship between themself, their community, and public spaces around them. Reflecting upon these relationships provides the catalyst whereby individuals imagine different ways of living. Through their actions as part of 100In1Day, individuals are encouraged to work with their community to collaborate on turning their idea into action. 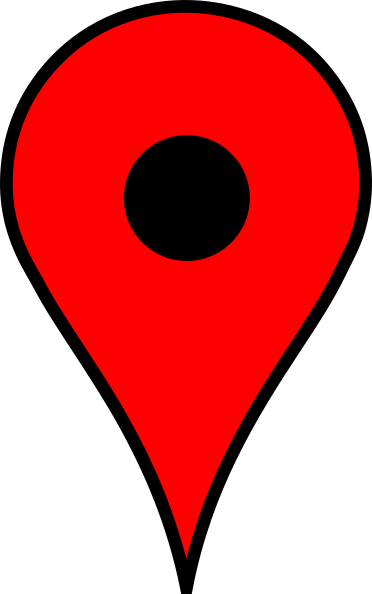 This idea may become an action that is large or one that is small. Regardless of scale, any intervention that recognizes the needs of a community and seeks to work towards fulfilling those needs represents a desirable and beneficial step towards creating a positive impact. 100In1Day is a method of practicing dialogue by translating thoughts about how to improve one’s community by proposing actions and developing them in order to demand changes in the city while recognizing government’s responsibility. As an act of critical reflection, 100In1Day provides the opportunity for a different kind of protest where citizen express their disconformities or complaints with answers to the issues facing their communities. In this sense, 100In1Day carries political ramifications that exist outside of political party policies and government programs. 100In1Day is a citizen platform that practices political representation through active citizenship whereby change comes from grassroots initiatives such as the actions rather than being imposed from above. Is 100In1Day a political party? 100In1Day is NOT a political part or a governmental project. It is a citizen platform that perceives politics through the important role of active citizenship, as true change in cities come from the bottom. In what do we believe in? Creating citizen networks to activate each individual’s potential. Imagining and creating change together. Initiating global change through local actions. Supporting the ability to choose how to influence one’s community to realize aspirations. Fostering creativity as a powerful transformational tool. Developing and highlighting new stores and realities. When 100In1Day was initially conceived the original plan was to host a handful of actions. The movement quickly decided to embrace the idea of fostering widespread action. As such, the number 100 symbolizes the possibility to create larger transformative change through a network of smaller interventions working towards community goals. While the number of actions that are realized may be less or more than the envisioned 100, it is the quality of these actions that defines the successes of 100In1Day. On the day of 100In1Day the combined scale of all these actions presents a strong platform advanced by active citizens to advocate for improvements to their communities and city. What does it mean to be an Active Citizen? Active citizenship is a concept that describes a practice of civic engagement that is more than simply voting. Practicing active citizenship entails recognizing the individual’s co-responsibility to their city, community, and self in order to form a citizen culture of ownership in public spaces. Active citizens are ones who strive to improve the places they live by collaborating with other members of their community towards the goal of generating positive community impacts through locally led and initiated interventions. We can create a change every day, as small as it is! What are the type of actions generated in 100In1Day? The actions generated in 100In1Day are always focused on creating a positive change on the city. These can impact different topics such as: environmental, social, cultural, education, citizen culture and others. The starting point to develop them is the realization of situations with tension or a sense of displacement that have the potential to be highlighted, transformed, strengthen, or improved. These actions can be expressed as Interventions or Interactions. This email or username already exists.